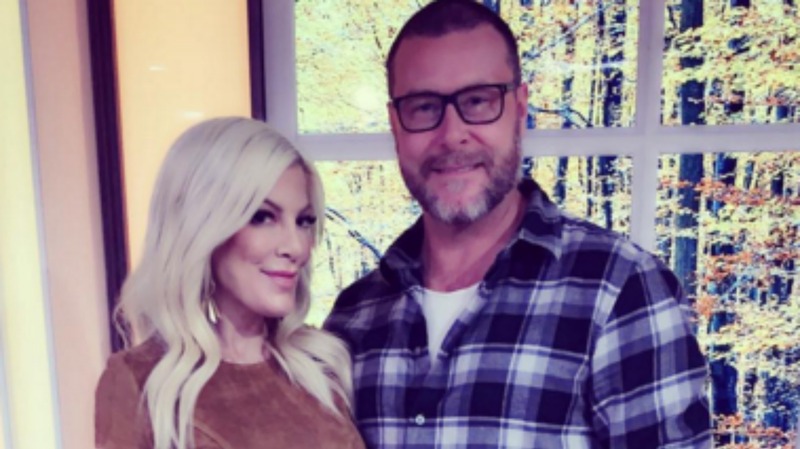 Third time’s the charm for Dean McDermott and Tori Spelling. The couple will recommit for a third time after McDermott proposed to Spelling on a family trip to Paris, reports Us Weekly. After a decade of marriage including cheating scandals, divorce and their own reality show, the two have decided to stand by each other’s side. His two other proposals took place almost 10 years ago on Christmas Eve 2005 and Christmas Day 2006. Perhaps McDermott just wants to assure his wife he’s recommitted to their relationship. Why not? The couple chronicled the fallout from McDermott’s affair in a series called True Tori. They’ve been through the ringer and are ready to recommit, says Spelling, “I was like, ‘You know what? I love this man. I’m going to make this work,'” she said. “We started at ground zero and built it back up. It’s amazing. In May, it’s going to be 10 years. Ten years! A decade.” They have no wedding date set, but Spelling hinted that the big day might take place sometime around their anniversary.